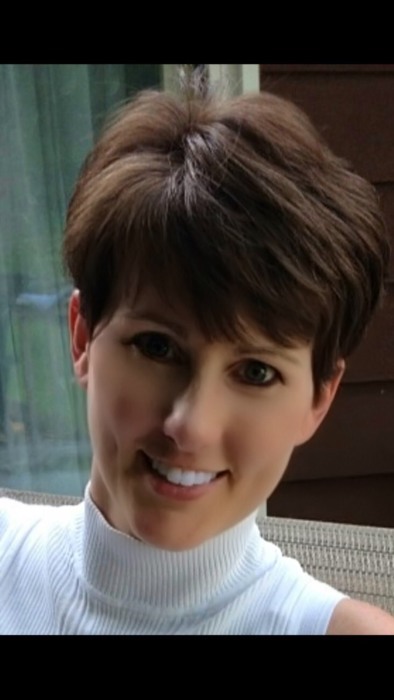 Mrs. Nancy L. Lamke Perkins, age 48 of 10 Exeter Ave. Pittsfield, died Thursday afternoon, at the Berkshire Medical Center, following complications with her diagnosed Muscular Dystrophy . Nancy was surrounded by her family and friends at the time of her death. She was born in Pittsfield, June 28, 1969, the daughter of the late Henry J. and Cornelia French Lamke. She began her education at the Richmond Consolidated School and was a 1987 graduate of Taconic High School. Initially employed at Epsilon as a customer service representative, she became employed at the Greylock Federal Credit Union as the head teller. Most recently, she was employed at the former Berkshire Life Insurance Co. as an administrative assistant, retiring as a result of her disability after 16 years of service. Nancy loved her role as a wife, mother and homemaker. She enjoyed shopping and was always very fashionably dressed. Proficient and precise with all forms of paperwork, she was always happy to help her family and friends complete their various forms and paperwork. A huge fan of the Pittsburgh Steelers, she also loved her New York Yankees. Perkins, Nancy A. Lamke, age 48 of Pittsfield, died Thursday, June 14th. Calling hours at the DEVANNY-CONDRON FUNERAL HOME will be SATURDAY, June 23rd from 11 :00 to 1:00 PM. Funeral service will follow beginning at 1:00 pm with the Rev. Angela Raciti, pastor of the Berkshire Community Church of Richmond, officiating. In lieu of flowers, memorial donations may be made to the Muscular Dystrophy Association in care of the funeral home.